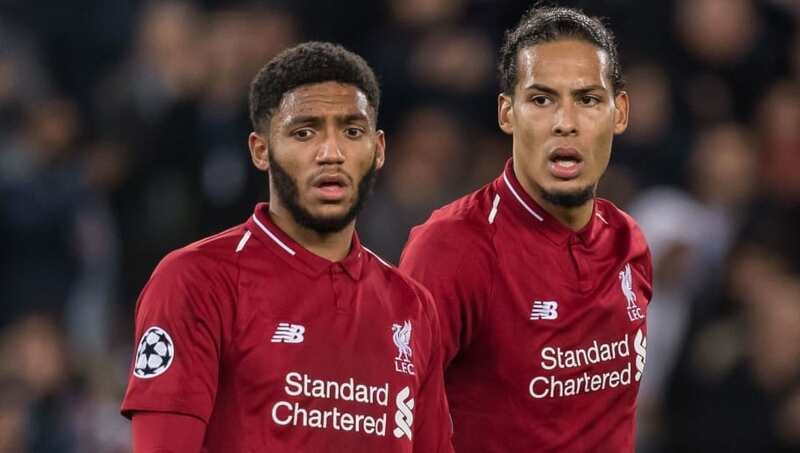 Liverpool defender Joe Gomez will be out of action until 2019 after suffering a fracture to his lower left leg during the club's 3-1 win over Burnley on Wednesday. The 21-year-old started at Turf Moor but was stretchered off after just 20 minutes following a collision with defender Ben Mee. Liverpool confirmed that Gomez would be missing for up to six weeks following his injury on Wednesday, although they did offer hope that he could be back in action sooner than expected if his treatment goes to plan. "Liverpool can confirm Joe Gomez sustained a fracture to the lower left leg during the 3-1 win at Burnley on Wednesday night," the club confirmed on their official website. "Gomez’s injury was further assessed by the Reds’ medical team at Melwood on Thursday. The England international has emerged as a vital first team player under Jürgen Klopp this season, making 18 appearances across all competitions. He has featured in all but two Premier League games, starting eleven of them where he often partners January signing Virgil van Dijk. Gomez's injury news will be a cause for concern when Liverpool host Napoli next week on the final matchday of the Champions League group stages. The Reds know that qualification alongside Paris Saint-Germain is a real possibility, but Klopp's side can't afford to let Napoli score at Anfield and their chances of keeping a clean sheet will now be weaker due to Gomez's absence.